While club companies continue to scratch and claw for ways to maximize their designs, the shaft companies are doing the same thing, but they often don’t get the same attention. TPT Golf falls under the umbrella company NTPT (North Thin-Ply Technology) who created an ultra-thin and lightweight carbon prepreg material which after seeing applications in areas from Formula 1 to America’s Cup realized they had massive potential in golf. The issue became, the factories producing prepreg for other shaft companies found it too expensive, and thus TPT Golf was inevitably born. Fast forward and TPT Golf has had much success for such a young company, multiple wins including former World #1. With all the buzz out there, I was very excited when I found out I would be getting one in hand for review. What makes TPT Golf unique? In the most concise wording, construction and design. TPT shaft manufacturing is automated which in their opinion means more controlled consistency, quality control, and performance. According to the company, by eliminating any hand-rolling processes they too are eliminating potential variables which means, via TPT’s message, every single shaft in every weight/kick-point configuration is the same. Why is this interesting? Well, according to them, if you hit a specific model at a fitter, you will see the SAME performance at any other fitter across the map. The company also claims that their manufacturing method means more axial consistency, translation, the bend is consistent and repeatable. 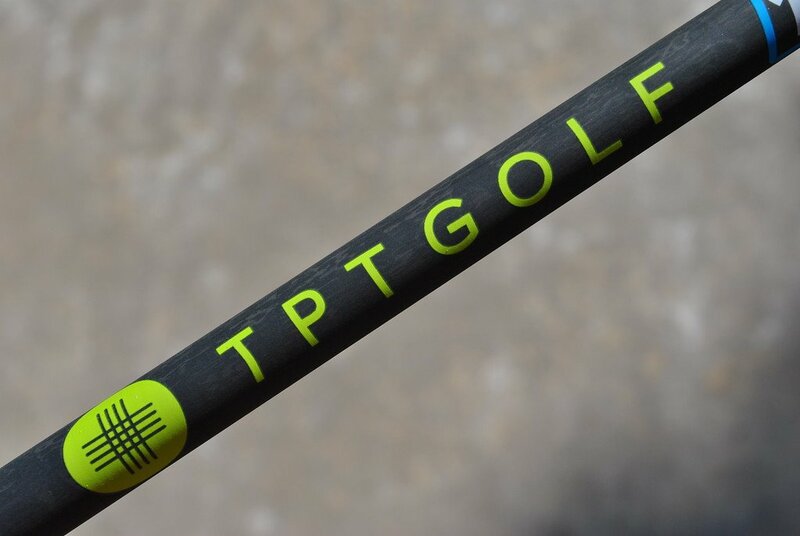 There are no spines in the shaft designs that TPT produces, and that comes back to what they call their “Thin Ply Technology”, hence the name TPT Golf. Here, they use super light carbon fiber prepreg and using machinery wind the material (Thin-Ply Winding) which according to the company lets them place the material in much more precise locations than by hand to further effect/improve the bend profiles. All this boils down to the belief that by doing this, energy transfer is optimized in each shaft design they offer, BUT this is where the fitting emphasis comes in as the only way to purchase is through a certified fitter. As of right now, they are not a custom option for any major club manufacturer. Now, we know fitting is always important, but with unabashed claims of increased clubhead speed and ball speed, TPT wants to make sure the player and shaft mesh perfectly, and they have found that most often golfers are fit to models they would not have anticipated being best for them. As mentioned earlier, TPT is emphatic on fitting for their shafts (hence their relationship with Club Champion and the likes) because they have found oft times a golfer would fit themselves into a model which isn’t necessarily the best for their needs. 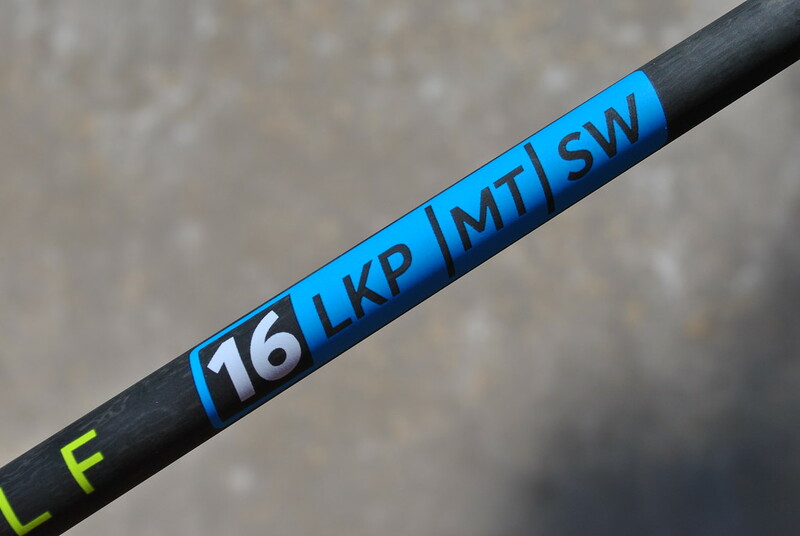 For this review I received the 16 LKP-MT-SW which is certainly not the one I expected given most of my success has been in a heavier (69g and up) design and because I am outside of the swing-speed range they have set for the 16 LKP as it sits 90-105 MPH. That said, there is more that goes into fitting a shaft than just swing speed and as a lower launch and lower spin player, I saw that first hand. 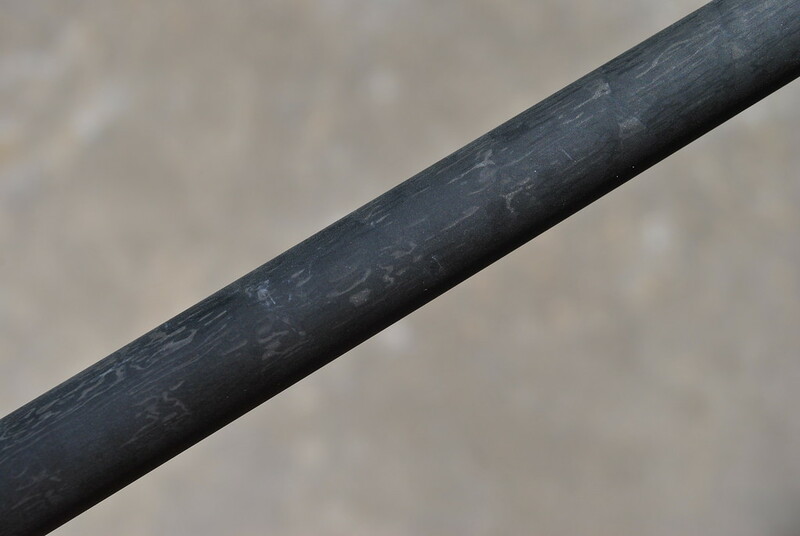 TPT shafts have got a thoroughly unique look to them with the winding method that they use. In fact it very much looks wood grained when out in the sun. The decision to showcase that look rather than cover it up was a wise one as combined with the bold, yet simple logo and model information makes for a shaft that will pair well with any driver head out there. I installed it into the G400 Max 10.5 clubhead and finished with a grey Lamkin UTx it is quite a looker. The real focus of any shaft review is how it performs. Keep in mind, swings vary, and my numbers and needs will not necessarily be yours. That said, as a lower launch and spin player, the low kick-point design was a happy pairing as it is a design trait that usually helps produce a higher launch angle. Through multiple sessions on the Foresight GC2 launch monitor the 16 LKP-MT-SW produced averages of 158 MPH ball speed, 11.9° launch, 2601 RPM backspin, 34 yard peak, and 268 yard carry. Overall, excellent numbers for me and something I could certainly keep in play. For me though, the bigger part of the story was the feel, stability, and accuracy. Moving to a much more lightweight shaft than my typical gamer was of the utmost concern for me as the move to heavier happened for the sole purpose of increased accuracy. In testing though, the TPT 16 LKP showed it really shouldn’t have been such a worry. The 16 LKP really eliminated a lot of the right side and allowed confidence that I could pick a line and not have it leak off that way. 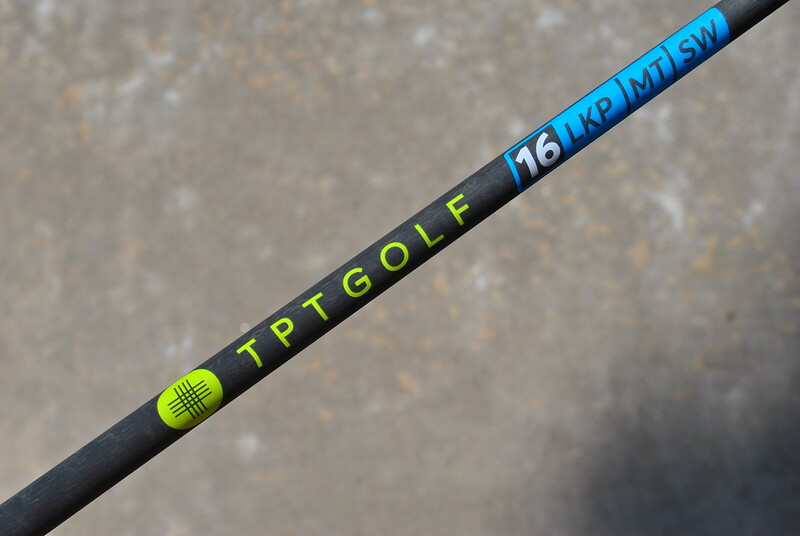 Additionally, the TPT 16 LKP is easily one of the most connected feeling shafts that I have tried to date, with 4.9° of torque I expected a fluid feeling that might come off as a bit loose, but it really feels locked in throughout the swing and impact. When I can plug in a new shaft and have no fear for really turning on one, it is one of the biggest compliments I can give. 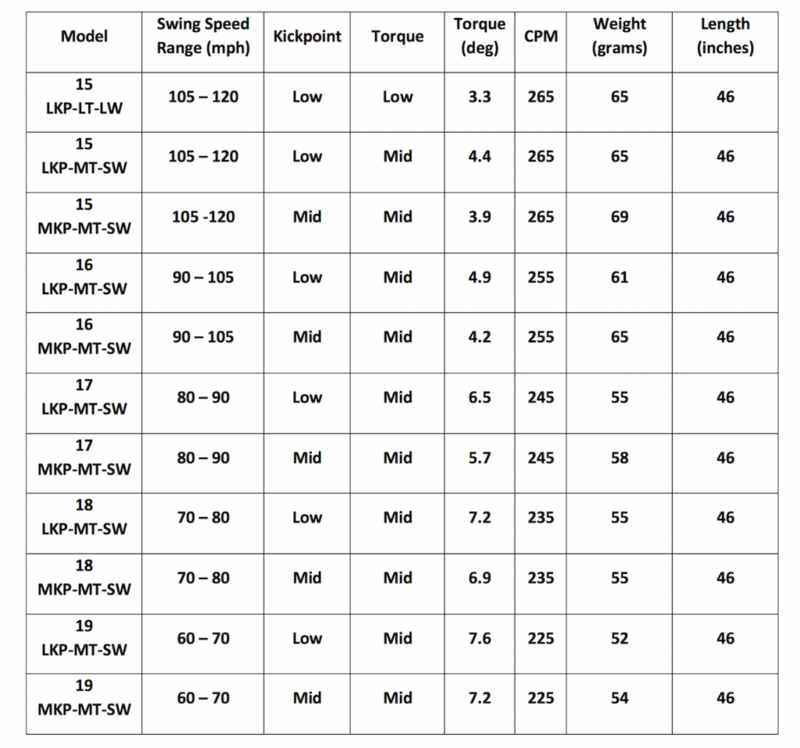 TPT Golf claims increases in ball speed, consistency, and distance. All told, we hear these claims a lot from shaft manufacturers, but I can safely say that for me the 16 LKP delivered on all three of these areas. When the company burst onto the scene, there was as much buzz about the price as there was the technology, since then the price has fallen by nearly half coming in at $499 and that should make them much more accessible in the minds of many. With eleven different models, and more coming, as well as an ever-growing network of fitters, the accessibility factor is also improving for TPT Golf. Combine those factors with continued use on Tour, and they are a company worth keeping an eye on. 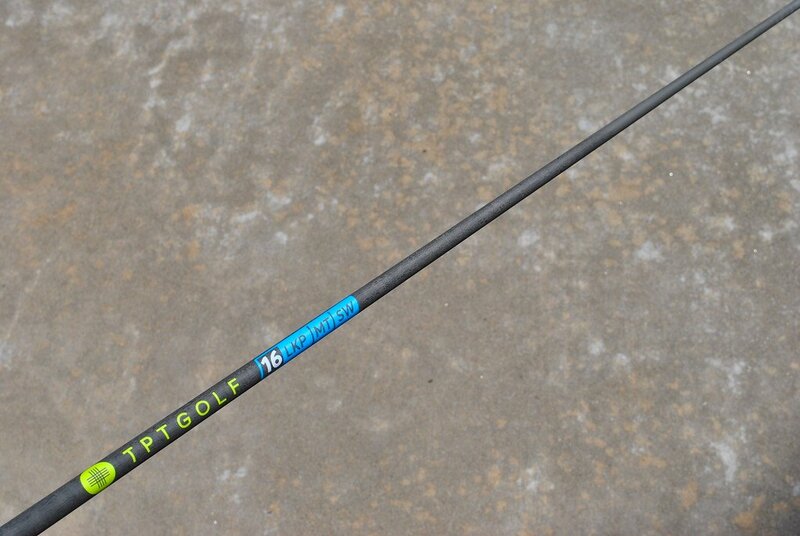 For more information on these shafts, you can visit their website www.tptgolf.com. Thanks James, well done review. Great review James! axial consistency – making the bend repeatable in the manufacturing process – I wonder if this is different from other OEMS? Great to see that you going to a lighter weight shaft you still had the accuracy and dispersion. I’d be interested in the 16 MKP MT SW. $499 is a real pricepoint though, interesting it’s fallen in half, very curious to try. I thought “Spine-ing” a shaft didn’t really matter? I’ve heard other OEM’s talk about it, most notably Danny at UST. I understand since TPT does away with it with their building process, but why would it matter anyway? Great job James!! Really been looking forward to your input on this shaft!! Nice write up James! These shafts are only available through a certified fitter, does the cost of the shaft include the fitting?